And not green as in eco-friendly. Dodge is taking a page from history as it offers up yet another bright color, this one called “Green With Envy”, which pays homage to such hues as “Sublime” and Green Go” that were used on models back in the 1970s. Production of the Green With Envy Challengers begins this month at the Brampton assembly plant in Canada, with deliveries expected to begin by the end of the first quarter. Customers can order the SRT8 models now, followed by the R/T Classic models in a month or so. The limited-edition Green With Envy models features body-side stripes in standard matte-black finish or optional white. The cars are also equipped with 5-spoke cast aluminum wheels in the spirit of Halibrand. The interior features dark slate Nappa leather seats and center console with green stitching to match the exterior. 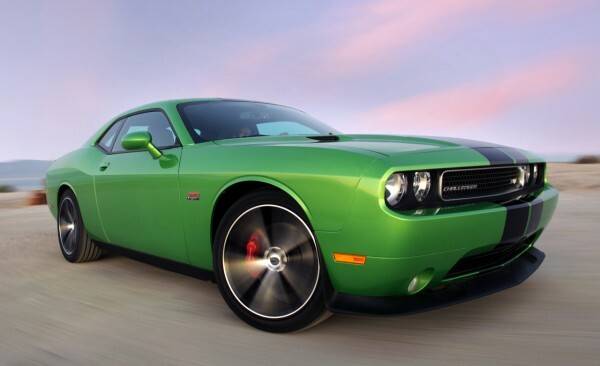 The price for the 2011 Dodge Challenger SRT8 392 featuring Green With Envy paint is $44,875. Other SRT8 colors include blue, black, red and orange. This entry was posted in Hobbies and Toys and tagged 2011 Dodge Challenger, car models, Collectibles, Highway 61 Diecast Model Cars, Hobbies and Toys, replica cars. Bookmark the permalink. In 1967, the Dodge Coronet was the car model onto which the R/T package was installed for the first time. Chargers were outfitted with R/T in 1968 and by 1970, with the introduction of the Dodge Challenger in the market; auto enthusiasts could buy an R/T model with a wide variety of engines and options. 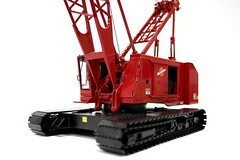 Thank for commenting. Sign Up for our Newsletter and receive 5% Off your first purchase. Thanks for the comment. Sign Up for our Newsletter and receive 5% Off your first purchase.